TDI-Brooks International, Inc. is honored to once again support the 2018 Youth Career Fair in Bryan/College Station by sponsoring and exhibiting. Our team is looking forward to explaining our methods and tools used for offshore geotechnical and geophysical surveys. We will also have a fun laboratory chemistry show & tell. 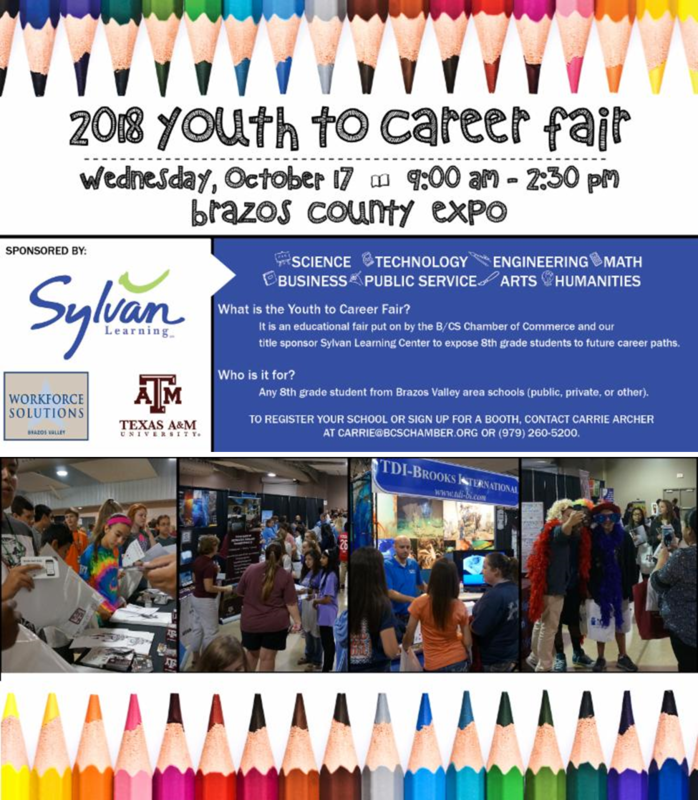 On Wednesday, October 17th, the Bryan/College Station Chamber of Commerce and title sponsor Sylvan Learning Center will host the 2018 Youth to Career Fair! The event will welcome over 3,000 local 8th grade students to the Brazos County Expo and expose them to the wide variety of career options to explore.